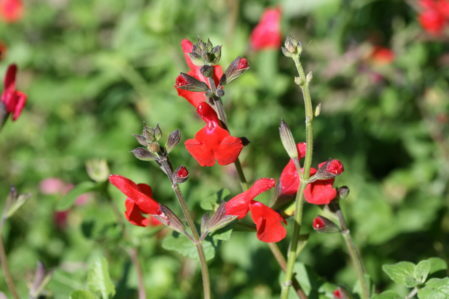 One of the best red shrubby Salvias. Much hardier than Royal Bumble, highly floriferous and with a sound compact structure. Scarlet red flowers May-Dec. Ht 70cm Sp 50cm. Well drained soil. Sun. We classify as hardy in Suffolk.